1100 Pennsylvania Avenue NW, Washington DC 20004. Meet in the hotel lobby at 10:45 a.m. 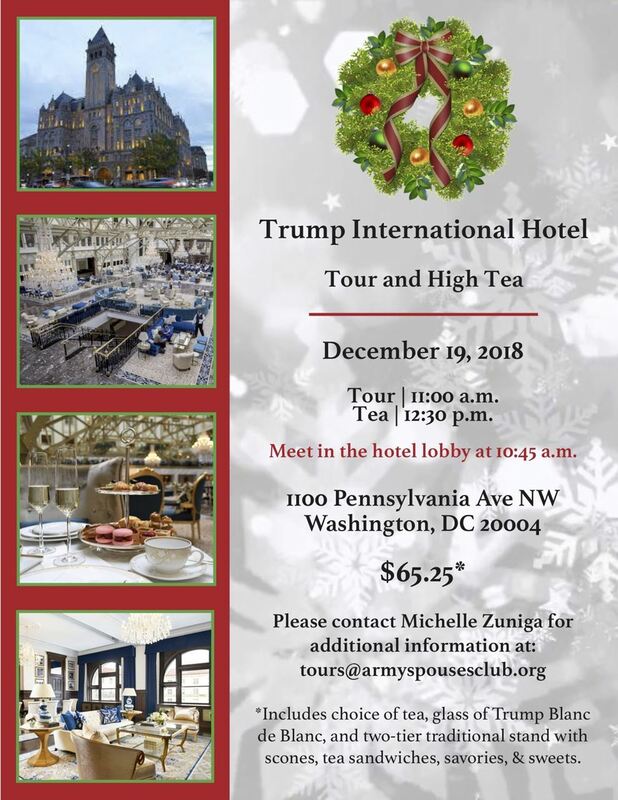 The cost for the Tea and the Tour is $65.25. We will not be offering refunds for cancellations at this event. If you are unable to attend, you may transfer your ticket to another ASCGWA member. You will be responsible for this transaction. Meet in the hotel lobby at 10:45 a.m.!